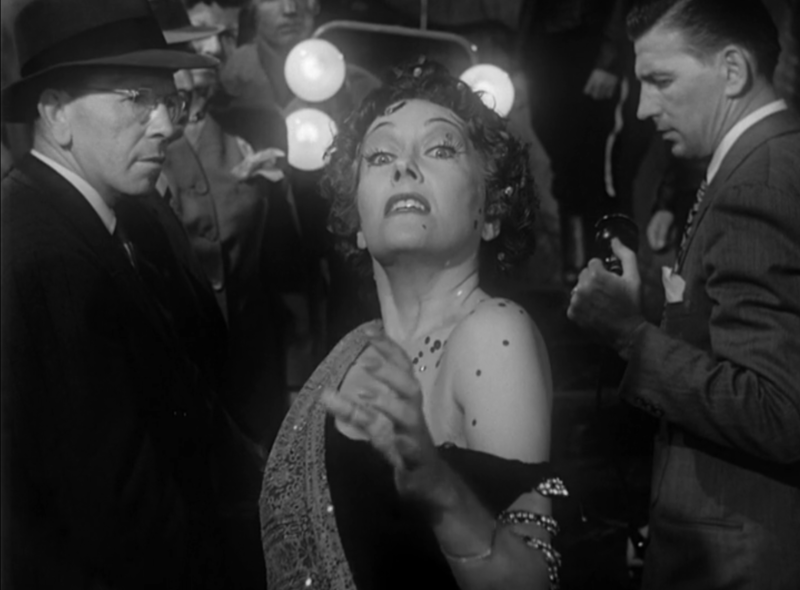 Sunset Boulevard (1950) is one of the seminal works in all of cinema. It rests easily in countless Top 10 lists of greatest pictures ever made, and has served as inspiration for immeasurable other movies. Over six decades after its release, the film is still as captivating and exciting as when it hit the screen mid-way through the 20th century. There are so many reasons why Sunset Boulevard lives with cinematic immortality: Its wonderful performances by William Holden, Gloria Swanson, Nancy Olson and Erich von Stroheim, all of which were Academy Award nominated, are unforgettable. The script by Billy Wilder, Charles Brackett and D.M. Marshman Jr. is near perfect. And the film’s wonderful noir cinematography (particularly its lighting) beautifully ties everything together, sets the tone, and perfectly suits the film. In 1950, color pictures were becoming more commonplace, yet Sunset Boulevard chose black and white cinematography. As a film cited as a member of the noir genre, the reasons seem obvious: a noir film can hardly be colored. The narrative contains many standard noir tropes; the femme fatale, the weak man at her whim, a cynical view of people as greedy and opportunistic. One of the most powerful compositional elements of Sunset Boulevard is its meticulously controlled lighting, which plays a pivotal part in delivering the story. Lighting can do much more than brighten a room or focus attention on a certain character. It isn’t just there so we can see. Film noir knows this better than any other genre. Lighting can reveal the duplicity of a character, highlighting someone as simultaneously bright and sinister. It can throw thematic cues (like the classic “prison bar” noir lighting effect) that foreshadow the fates of its characters. The narrative uses of lighting remain true in modern pictures, but in black and white films, lighting was even more spectacular and important. Without the ability to distinguish colors, lighting took on the responsibility of shading the grayscale tones of cinema and adding “color” to an achromatic world. Norma is shadowed much of the time in her home, and particularly in scenes referencing her past. When she and Joe watch her old movie footage, her face is bathed in contrast that highlights her previous self from the current. There is a distinct difference between inside Norma’s house and outside Norma’s house in terms of lighting composition. Film noir literally means “dark film.” Sunset Boulevard is that, both literally and thematically. It is a picture with spooky shadows and visuals throughout its duration. At times it looks and feels like a horror picture. This darkness brings the material to light and serves to emphasize everything written in the script. It also calls upon the director to employ some creative filmmaking tactics to get the right shot. 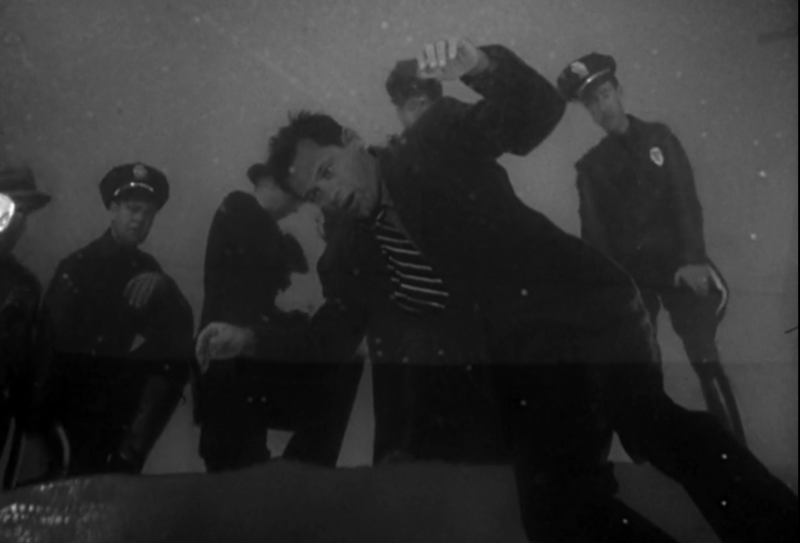 Sunset Boulevard opens with Joe Gillis (William Holden) floating dead in a pool. A mirror was placed on the pool floor and the camera shot down. The reflected image was cleverly angled to avoid reflecting the camera, and made it look like the camera was underwater (not to mention capturing the massive emptiness of the surrounding mansion). The film’s final scene is just as poignant, when Norma Desmond (Gloria Swanson) descends the grand staircase in her home towards what she believes to be movie cameras. “I’m ready for my closeup,” the deranged star says, putting the feather in the cap of her descent into pure insanity. She’s filmed partly in slow motion as everyone around her seems still; an uneasy illusion. The resulting shot isn’t even a closeup, but a standard medium shot that dissolves into nothingness, as Norma’s desperate attempt to return to the spotlight proves as fruitless as we knew it would all along. The way the scene is captured highlights Norma’s monstrous detachment from reality. She looks almost like a goblin in her final moments, as she has many times before in the picture, with her distorted and melodramatic silent movie expressions and talon-like claws leading her towards the camera. Sunset Boulevard was the last major Hollywood film shot on nitrate negative. 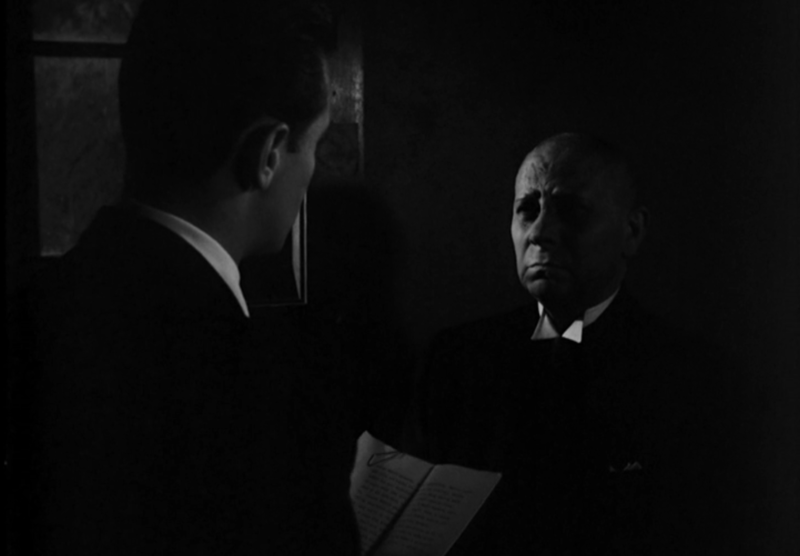 Its shadowy world of deceit and self-deception is perfectly captured in the dark noir cinematography and lighting. Shooting Sunset Boulevard as a black and white picture was a necessary choice in delivering the material in the most holistically effective way.